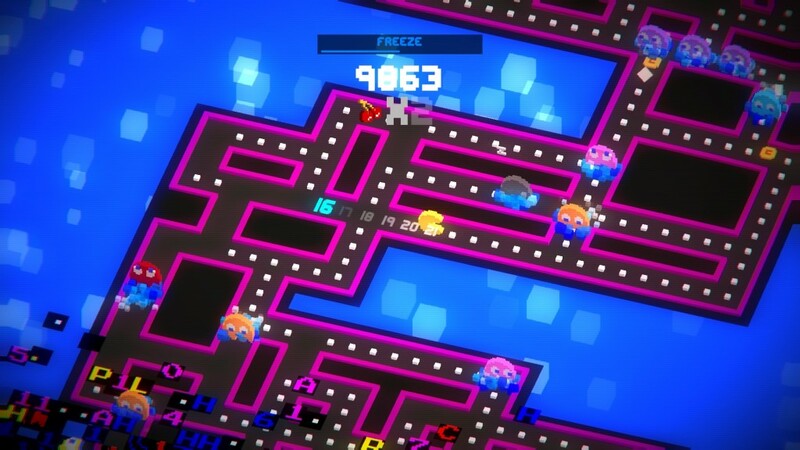 Following on from last year’s iOS and Android versions, Pac-Man 256, continues Namco’s trend of reinventing their most famous franchise in the same way that the two Championship Edition games did last generation. Namco have never been shy to wheel out our favourite pizza-based icon after all and the game follows the standard model of Pac-Man eating dots, avoiding ghosts and then turning the tables on them thanks to those handy “energizer” power pills. However, Pac-Man 256 is also chock full of excellent ideas. Using a scrolling, isometric layout, the game tasks you with helping Pac-Man move constantly onwards and upwards along an infinite, randomly-generated maze layout. In your way are various ghosts, each with different behavioural traits. Some will patrol a set route, some will shuffle along a single horizontal line and others will hunt you for as long as they can while behind you is a slow-creeping wall of corruption that will envelope you if it catches up. This is part of the game’s title. 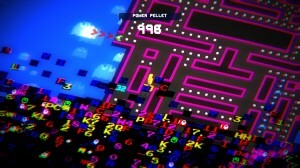 The ‘256’ refers to the final screen of the original Pac-Man arcade game. In that screen, the unit ran out of memory and only generated half the level. The other half was graphically corrupted. It’s a very nice nod to the original title. I’m something of a Pac-Man geek at times and so it’s great to see developers Hipster Whale dig into the history of the game and bringing in elements like this. They’ve also beefed up Pac’s offense too. Aside from the power pills, you also get other power ups. These vary wildly and any given game of this will have three types littering the play area. These power ups can be upgraded or swapped out for others which are unlocked by completing ‘missions’ such as eating 20 ghosts (cumulative) or using a certain type of power up some number of times. It’s all very natural though and the progress comes steadily. Unlocking new power ups (such as super size, a flame attack, mini Pac-men and others) keeps things quite fresh. 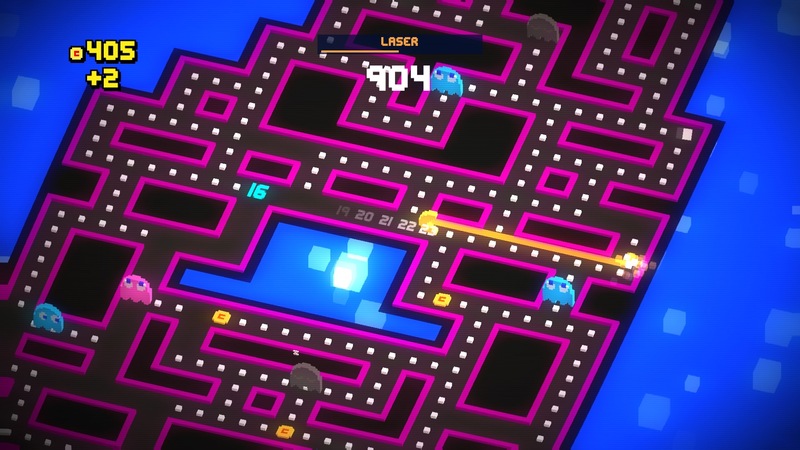 Pac-Man 256 is an addictive game. Admittedly, I played all I needed to on my iPad so I’m not expecting to hammer this console version but this is an improvement in terms of using physical controls and also not having a wait timer (the iOS version was free and therefore subject to IAP nonsense). It’s good being back into the game and the trophies give you some reason to keep going (even though the last two are incredibly grindy). The game is easy to learn and ripe for high score chasing. The gameplay is tight and enjoyable, although deaths can come cheaply and this version doesn’t give you a continue option like the mobile versions. There will be moments of skill though and these can be exhilarating. 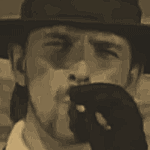 Also, the game is all about navigating in the moment. Where Pac-Man was always about patterns, this is all about reactions which makes it feel even more arcadey (er… than the most iconic arcade of all time. Oh well, you know what I mean). 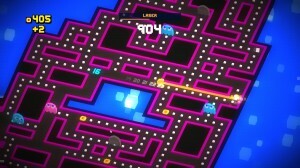 Visually, Pac-Man 256 still looks the part having made the journey to the living room screen. It’s fresh and bright and looks like a thoroughly modernised take on the classic original and the soundtrack riffs nicely on the original theme too. Best of all, it’s only four quid which is a pittance for a great entry into the Pac-Man pantheon. You most certainly cannot go wrong. This isn’t a game that’ll last you for months of heavy play but for a quick game to dip in and out of, it’s all good. Sure, Pac-Man 256 is a mobile game but the concept and execution are great, taking the original Pac-Man gameplay and giving it a modern twist. It doesn't have a ton of depth and probably relies on your friends owning it to get the best out of the competitive aspect of the game but it's very good indeed.